For me, fall is all about Pumpkin Flavor! 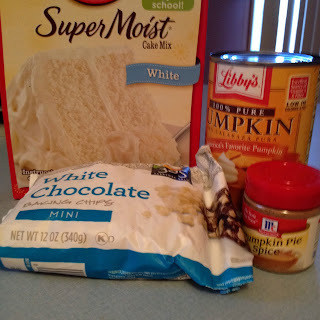 If you have been reading my blog lately, you will have already seen my recipe for Pumpkin Bread. That bread is a delicious and healthy "from scratch" recipe that will easily satisfy your pumpkin craving while getting you in the mood for the season! 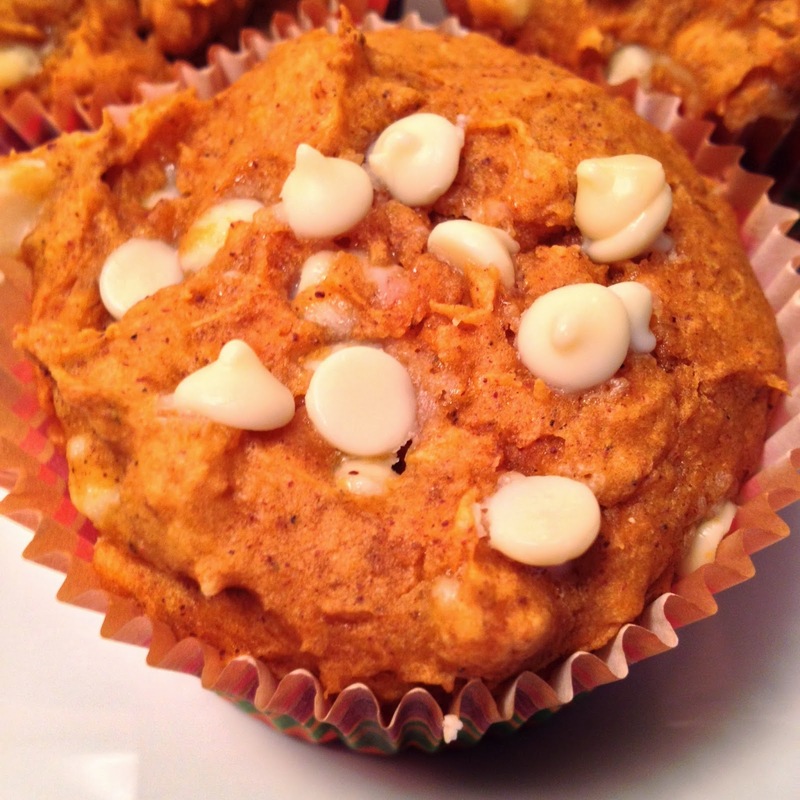 This recipe for Easy Pumpkin Muffins uses a mix and only has 4 ingredients! Yes, I said 4!!! They are so simple to make that you can whip them up before the kids wake up, while the kids are napping, even during a TV commercial break! They are also delicious! Since I use a cake mix for a base, these are not "clean" or "whole food" based. You can go back to my recipe for pumpkin bread if that is what you are looking for! However, these are much faster to make! They are also very light because they contain no eggs and no oil! These muffins came out fantastic! 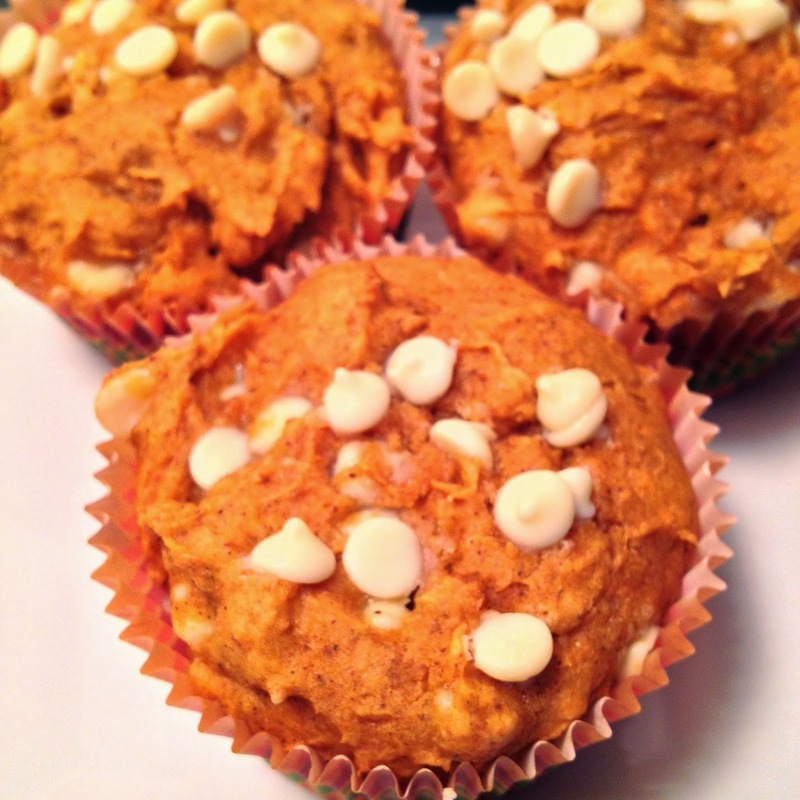 They are healthy enough to eat at breakfast but sweet enough to serve as a snack or dessert! Lacie has been enjoying them at afternoon snack time! Now I will often tell you to use what you have in your pantry, and this recipe is no exception! You could easily replace the white cake mix with yellow or vanilla cake mix. If you do not have pumpkin pie spice, just use cinnamon/nutmeg/ginger to taste (and you can actually taste the batter because there are no raw eggs - YAY). If you do not have white chocolate chips (or you do not like white chocolate) you can use regular chocolate chips! I love the mini chips because they really melt into the cupcake, but regular size chips would work too! You can even leave out the chocolate chips or replace them with nuts (like Pecans or Walnuts). We avoid tree nuts at this point because of Lacie's peanut allergy plus they create a choking hazard for kids under the age of 4! However, you should use what your family likes best because that will usually be the ingredients that you have on hand anyway! By the way - these freeze great! Just wrap each muffin individually in saran wrap and place into a freezer bag! Then pull out one at a time when you need something to throw in a lunchbox or want a quick breakfast on the go! Thank you for posting this! My son's birthday is tomorrow and I was looking for an easy, safe and yummy recipe for a special breakfast tomorrow! You are so welcome! Happy Birthday to your son, and I hope that he enjoys them along with his special day!! !